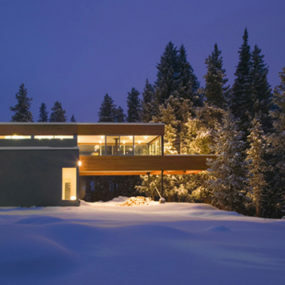 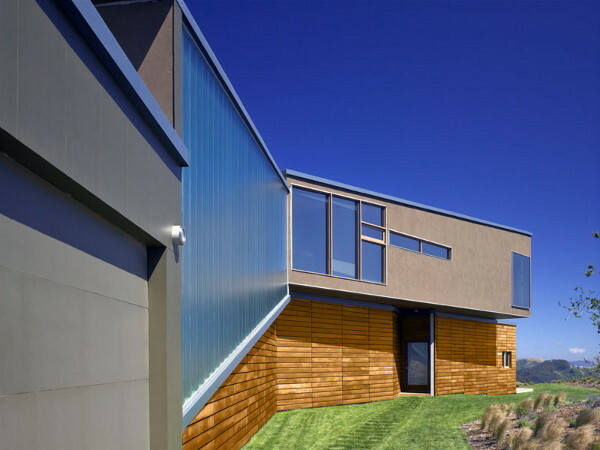 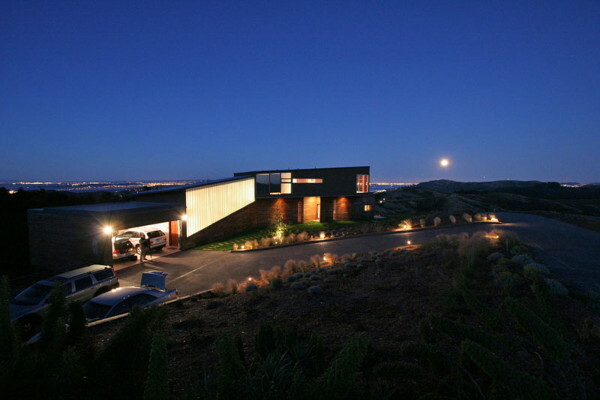 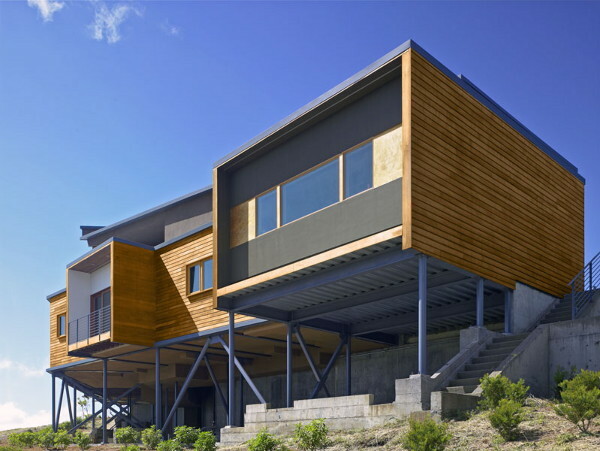 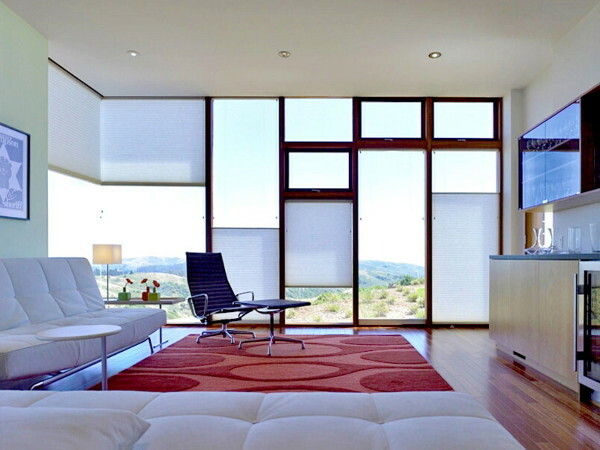 Sherman Residence is a really cool mountain home by Lorcan O’Herlihy Architects. 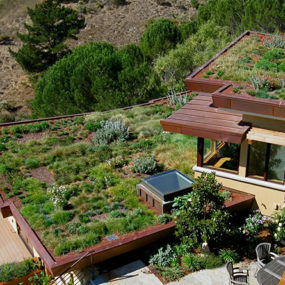 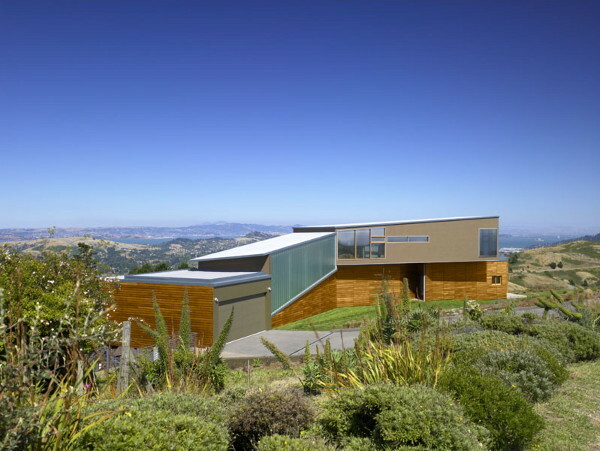 Located in Mill Valley, California, this modern design blends nature and innovation in a truly contemporary house on a hill. 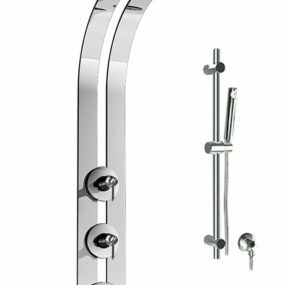 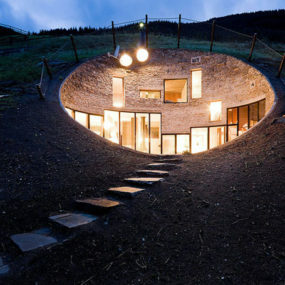 The sloped terrain set the tone for the home unique shape. 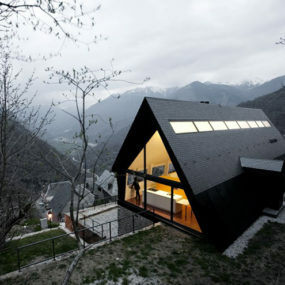 The main volume of this mountain house sits close to the hillside, clad in a natural wood that complements its surroundings. 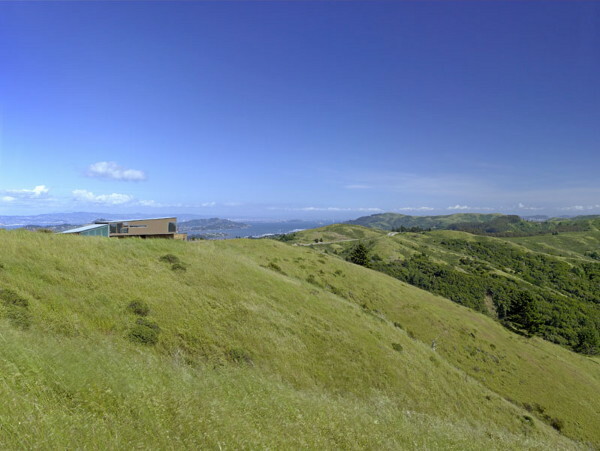 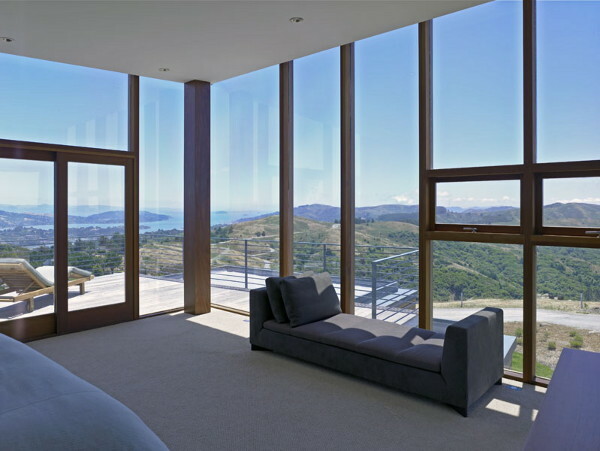 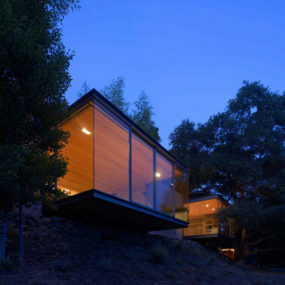 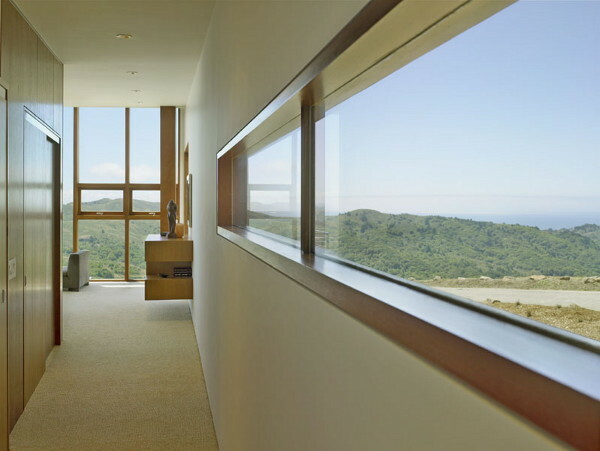 Overhead, the home’s upper volume features expansive windows and cantilevers overhead, seeming to dive into the spectacular Tamalpais Valley views. 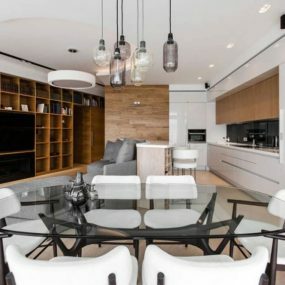 Interiors are bright and minimalist with warm woods on a simple white backdrop, not even daring to compete with the gorgeous landscape outside. 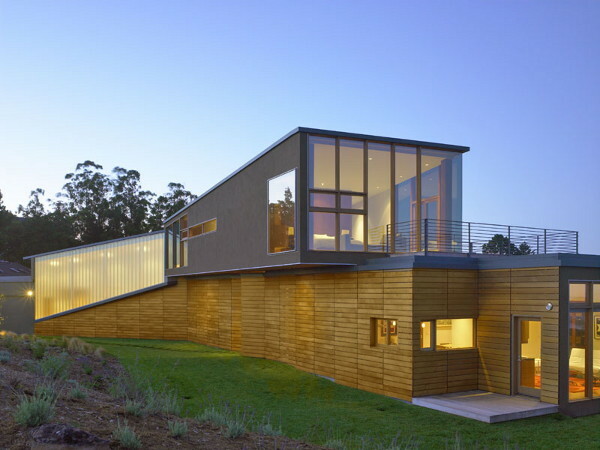 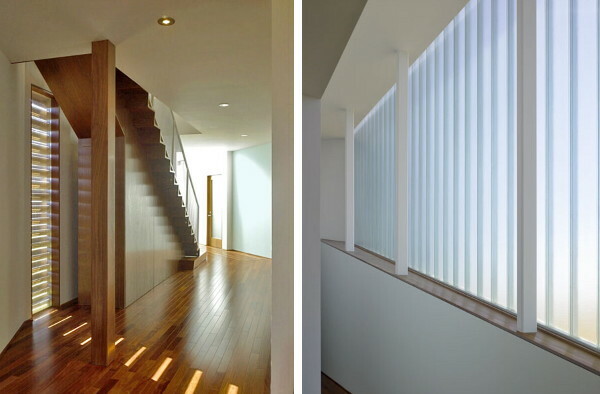 An aesthetically pleasing design that blends with the terrain, by Lorcan O’Herlihy Architects.